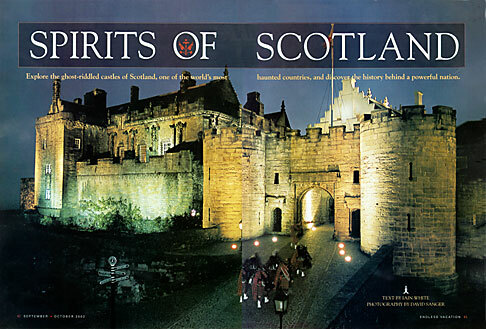 Haunted castles in Scotland was the subject of this Endless Vacation magazine assignment. Many of the Scottish castles are known for their apparitions, spirits who linger and occasionally return to surprise the inhabitants; the Grey Lady of Fyvie and the beaded ghost of Glamis are but a few. None showed up during my photo sessions, but the expectation was all the fun.